Every prominent businessman/woman knows that success comes with a price. In most cases the biggest toll comes out of your personal life, and balancing it with your professional one can sometimes be a truly Sisyphean task. Ever since 1984 and the release of the world’s first PDA, task management has slowly, but surely, started depending on electronic devices. Today, smartphones – the descendants of PDAs – have taken part in almost every aspect of our lives. Based on the 2015 statistics, most popular app stores together had nearly 4 million applications available for download. We took some time to select 5 apps that will help you balance out your work-life “tasks”, so you don’t get caught up in your business obligations and neglect private life. One thing that the majority of us has done one too many times in our lives, is forgetting an important date in lives of those who are close to us. Be it their birthday, anniversary or anything else, we tend to forget to call, send a text or an email. With Schemes, you will never forget anything ever again. 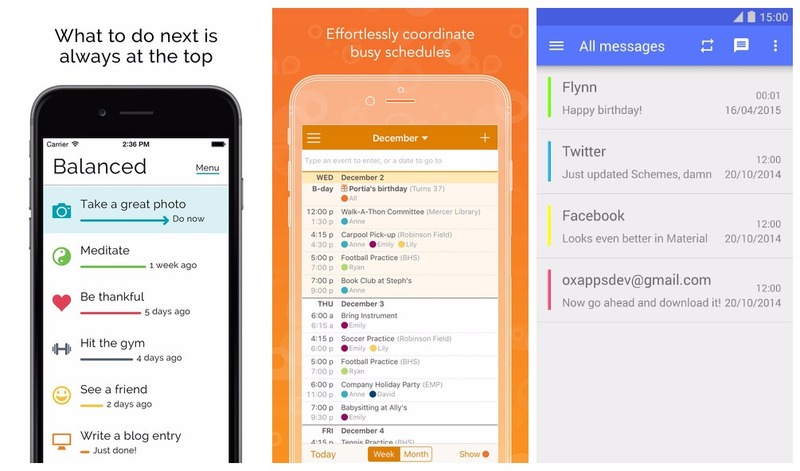 This app is basically a scheduler of different communication means. You can schedule sms, emails, tweets, facebook posts and messages. Though this automation might be seen as cheating, just think of how many people you know, and how many dates you have to remember. This app is all about aiding you in intentional habit-forming. Balanced makes you feel good about yourself and the tasks you’ve achieved. With 50 predefined activities and an option of adding your own, you will always have something to do. All you have to do is “swipe” the task off once you complete it, and the app will give you a positive feedback. Remember all those times you made life-changing New Year’s resolutions but never followed through? Balanced will help you stick to your goals and stay loyal to all the decisions you have made. The greatest thing about Cozi is that any family member can access it at any time. Thanks to the shared calendar features, family members are able to see each other’s schedules, write comments and easily communicate when not together. In its essence, Timeneye is a timer app, and certainly far from an ordinary one. Behind its simple interface lies and intelligent piece of software that tracks the time you spend on your ongoing projects. It is commonly used by small/medium companies that are looking for a simple app to help them keep track of the team efficiency. Furthermore, when it comes to freelancing, not only does it aid in timetable management, but it also has a billing feature. With Timeneye freelancers can easily deliver worklogs to their employers and keep track of their earnings based on the time invested. In the last 30+ years, more and more people are pouring into big cities, thus greatly increasing the pace of life. It is difficult to find the time for exercising in such environment, and consequently apps like Pocket Yoga are enjoying enormous popularity. 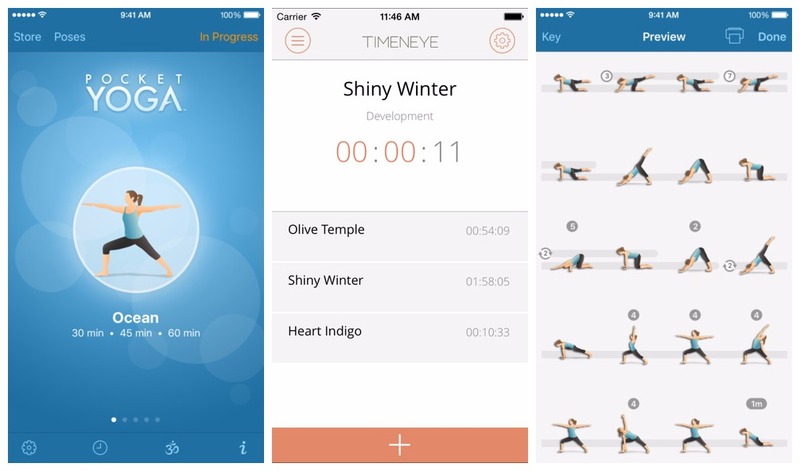 This app is a must have for all seasonal or regular yoga practitioners. It comes feature-packed, enabling you to practise and learn yoga on the go. Then all you need is a quite place to lay your mat and get into mountain pose. Music library, with an option of playing your own music via iTunes and Radio. 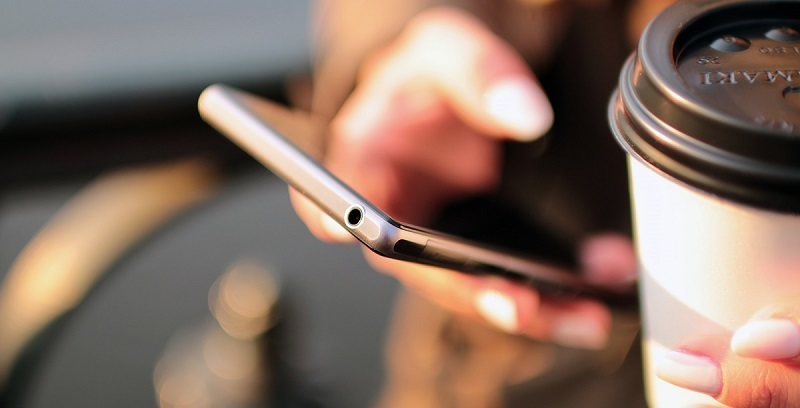 These five apps cover mostly every aspect of our lives. From keeping track of the ongoing things in your personal life, to managing and directing your business environment. Some might say that we are overly dependant on smartphones and that we spend too much time using them. Nevertheless, the fact is that with the style of life we are leading, this phenomenon is inevitable. The best thing to do is utilize these new features of smartphones to their fullest, and devote more time to those important things in our life, before it’s too late. Sarah has been combining her passion for writing and technology research for ten years now. Currently, she’s interested in business, startup culture and marketing, as well as latest technological trends.